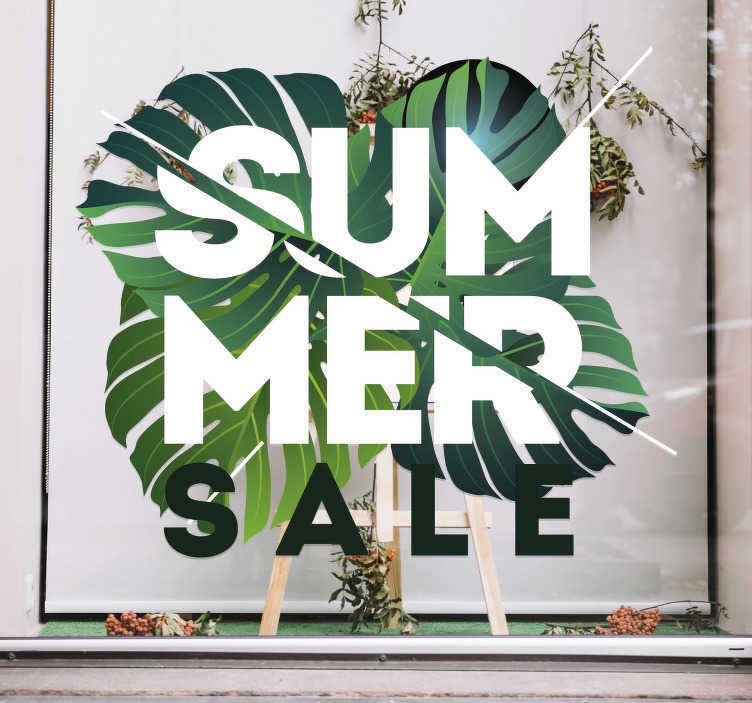 This eye-catching window sticker is great for shops who want to advertise their summer sale. The incredible design to the sale sticker makes it the perfect promotional sticker. The design includes green trees that remind you of summer with the "summer sale" slogan in front. The high quality sticker stands out from the rest of sale signs, so it won´t be hard attracting customers into your shop. The business sticker gives off the summer vibes that customers would want to feel when they are shopping. So buy this cool sale decal for your shop window today and stand out from the rest.